Smart Wiring is a not for profit broad industry initiative that was developed by the Copper Development Centre.Australia in partnership with leading companies and organizations such as NECA, Telstra, Foxtel, Clipsal, HPM, Tycab Australia, HomeXchange, ElecVision and Intelligent Home. But our interest in all things technological does not stop there and there are new projects being developed all the timeboth globally and locally. The following are just some of those projects that we believe can produce social, green and economic benefits for all Australians. Ageing Australia – Are we technologically ready? Technology could be the key to helping Australia’s rapidly, ageing population remain independent longer, according to new research undertaken by the Copper Development Centre and other groups in 2006. “Caring for the Future” is the most thorough study yet done in Australia of the role of new technologies, like home automation, the Internet and telemedicine, indirectly tackling issues faced by older and disabled people living at home. But the report warns that more needs to be done to ensure older people are technologically literate and Australian homes are smarter. Undertaken as part of an ongoing “Age Smart” Project by the CDC.Australia, Connection Magazines and Connected Research Services the new report is the starting point of what is expected to be a long term examination of how technology can help Australians live at home longer. “Two of the most significant trends at the beginning of the 21st century are the ageing of the population and the growth of low-cost digital technologies,” says the report?s co-author Graeme Philipson. “And they have now run up against each other. “Connected home and digital technologies are increasingly being used to help older people live more independent and productive lives. These technologies can also save the community vast amounts of money, by enabling older and disabled people to stay in their own homes longer. The report says that 4 key areas will be impacted by technology-health, home automation, security and safety, communication and lifestyle. Call 1800 075 060 to get a copy of either the report or click here to view the summary online. In 2025 your fridge will tell your heater to cut back on power, embedded sensors will help manage your daily routine, your bathroom will be linked to your doctor’s surgery, and homes will be built in factories and shipped to site. Well that’s just some of the 80 trends a new study by the Copper Development Centre and other groups* in 2004 predicted about our future housing. The Building Construction Technology Road Map-or House of the Future Report as it is also known-was a world first look at how technology will not only change the way we build, but how we’ll live, work and play at home in the next 2 decades. An ageing population, scarce natural resources and cheaper consumer technologies will all fundamentally alter our homes, making them smarter, greener and more efficient. Some of the 80 trends identified in the Road Map include intelligent surfaces that self clean and resist corrosion, smart water and energy meters, home/community gas powered generators, a “third pipe” for grey water, bacteria filters, connected communities, holographic communication, the introduction of the ‘home manual’, and home technology rating. But the home’s connectivity is the key and the Road Map says that homes in 2025 will use a mixture of “smart wiring” and wireless to make it all possible. “The Australian home hasn’t changed in decades, but it’s now the frontline for how we’ll manage the environment, and live and work in the 21st Century”, John Fennell from the Copper Development Centre, one of the groups behind the study, said. “We’re now seeing technologies already developed in the car and aviation industries, such as microprocessors, fast factory manufacture and sensors, being applied to the home at a faster rate”. CDC.Australia is now working with existing and new partners to develop an even more detailed look at how home technology can impact the way our homes use energy. The next phase of research will seek to identify which technologies and products can make Australian homes as energy and water efficient as possible and is expected to be completed by the end of 2007. 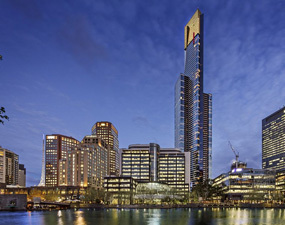 *The Road Map was prepared by the Warren Centre (Sydney University), and sponsored by the Australian Industry InnovationXchange Network, BHP Billiton, Tyree Group, Connection Magazines, NECA, Enware, Sims Group, AusIndustry, Crane Enfield Metals and the Copper Development Centre.Australia.